Mikron offers professional services based on our experience and resources to help you successfully manage today's complex manufacturing processes. Our solutions range from process optimization to retooling and training. Mikron Business Support – maximizing benefit and ROI while minimizing risks and costs. Highly trained and productive employees are the basis for achieving peak manufacturing performance. 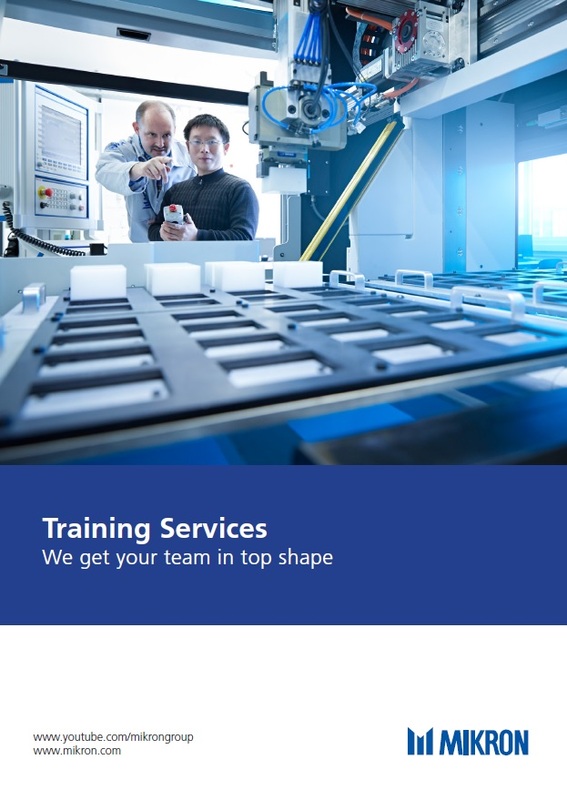 Customer training courses at Mikron focus on the electrical, mechanical or CNC components of your machines. They are designed to give you the critical technical knowledge needed to realize your system's true business benefit. Training that doesn't fit doesn't work. That's why Mikron Service Solutions provides training tailored to the needs of the participants and your machine's configuration. Mikron Customer Training – we understand the critical role productive employees play in an effective manufacturing strategy. Do you want to produce a new or modified part? Plan an application change and add flexibility to handle new workpieces. Reuse the existing basic machine and save a substantial portion of the cost for a new installation. Mikron prepares your machine for the production of a new part. Mikron's team expertly provides the necessary engineering, and experienced service engineers perform the retooling work at your facility. You may also elect to combine the retooling with an overhaul. Mikron Industrial Equipment (Shanghai) Co., Ltd.